This has resulted in an outright rejection of Big Wine in much of the on-trade. Wines afflicted with a corporate whiff grate on sommeliers and other gatekeepers who cultivate and disseminate taste in restaurants, wine-bars and across the media, yet refuse to touch the ubiquitous brands that even once loyal customers find déclassé. After all, Big Wine is largely made by bean counting corporations who treat wine like beer. Grimace, for example, at the trials and misguided tribulations of Treasury Estates as they struggle to rebuild the brand equity of once-noble labels, swallowed and wrung of that which tastes like wine, let alone wine with any semblance of provenance. Yet are supermarkets and their convoluted tentacles of trade, or at least the wines they sell, always so bad? As importantly, are all supermarkets alike? While it is hard to sympathize with ‘Big Wine and its low and lower priced gallons of mediocrity, tales are rife in Australia too, of small, hands-on premium producers being shafted by the downward spiral of all-pervasive visibility in the large retailers and with that, aggressive discounting and the gradual decay of their names. Why are the little guys playing the supermarket game at the expense of being ostracized by the gatekeepers whose very voice they are so reliant on for reputation and placement in the right places? Because they have no choice, at least in Australia. Think about it. Australia is a major producer of wine limited by a small domestic market. 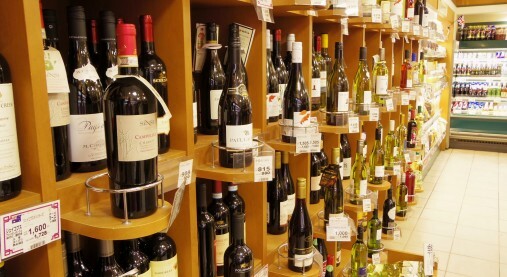 Subsequently, it is a smallish consumer reliant on export markets for the success of its wine industry. Times are trying, however. Export performance is staid, to put it mildly. While Australian wine is going through an exciting renaissance, this message is yet to be conveyed to traditional markets. Thus, even small-production, premium wineries are increasingly reliant on large retailers to obviate the slack in exports and mop up residual stock. Many smaller producers are also subservient to the whims of supermarkets in order to get their wines in front of consumers bereft of alternative shopping options. In Sydney, a city of five-million or so, I can count the independent wine stores of substance on two hands! Thus, supermarkets are not all alike and in Australia at least, the wines they sell can be excellent. With some exceptions, the Australian retail dynamic is very different to that in the UK, other European countries, and even relatively mature markets such as Japan where little but bland, heavily branded wines line supermarket aisles. In large retailers throughout Australia, alongside the industrial machinery of Oyster Bay and Jacob’s Creek, there exists premium wines of exceptional quality from cool climate regions as far afield as Macedon, Tasmania and the Mornington Peninsula. Yet if many wines among the premium tier are also available in large retailers, are they not also shunned by the gatekeepers? Sadly, too often, yes. This, for me at least, is the great bane of the Australian wine scene. Desperate to ‘curate’ (the buzzword of the moment) unique wine lists, the key gatekeepers shun many excellent wines because they are at risk of being discounted in the multiples and thus, compromise profits in bars and restaurants. Moreover, they are too available and not hipster enough. Given the retail duopoly, this dynamic is not going to change any time soon and bodes ominously for the future of most quality wine in Australia. What are the gatekeepers advocating then? From New York to Melbourne to London, provenance is where it is at! This partly explains the fall from grace (at least for the time being) of Bordeaux which, despite the raptures of the Bordelais, has too often little to do with place and as a result, is conspicuously absent as a category from wine-lists reflective of the current zeitgeist. Conversely, the lauding of site-inflected wines from Burgundy, the Piedmont, Loire and Germany among the sommelier hipster brigade, is concomitant with this trend; as is support for supine Syrahs from the Yarra Valley, non-destemmed and spiky; in addition to contemporary expressions of tensile, mineral-infused Chardonnays from all over Australia. Inherently, however, production costs are high and quantities tiny. And then there is what is referred to as the pointy or pointier end of the wine spectrum, which has never been more exciting. Here, minimal intervention is the name of the game. Renegade wines hailing from organic and/or biodynamic vineyards and handled without additions be they tannin, acidity, enzymes or yeast, hark back to antiquity and serve as a proverbial ‘F…k you’ to Big Wine and a world threatened by man’s hubris manifested as pollutants, chemical fertilizers and genetically modified crops. Some commentators call much of this category of wine natural. Whatever one’s take, wines made with techniques eschewed by the conventional think-tank such as extended skin contract for white wines, fermentation without temperature control and the use of neutral vessels be they older wooden barrels or amphorae, see wines dwelling near the atavistic fringe as bubbly, orange, cloudy and oxidative. However, quantities here, too, are minuscule and costs are high. Moreover, while this idiom of wine speaks strongly to the adventurous and educated drinker, it is not the category to serve as the foundation for a healthy wine trade, just as industrial wines driven by volume and price and the corporate machinations behind them, have brought discredit to a once-vibrant wine community. While selection across Australia’s large retailers is enviable and Australian consumers have it far better than their supermarket-shopping counterparts elsewhere, even quality producers are caught between the rock of reality and the unwillingness of those whose support is required, to see the bigger picture and to champion quality wines across styles irrespective of their retail presence, rather than esoteric styles that serve to embellish a single wine-list and/or ego.